I sat straight up in bed and looked at my watch. It was 6:17 in the morning and my heart was pounding. “What the hell was that?” I thought. It was too loud to be a controlled detonation – and way too early in the morning for anyone to be at the range. It couldn’t have been five seconds before I heard the alarm screaming “Initiate Force Protection Condition DELTA….” which meant something bad was happening. I was now fully awake and aware that I was not dreaming. I jumped down from my bunk and started putting on my gear. This was an all too familiar routine, but the feel of adrenaline starting to pump told me that this time it was close. I ran down to the aid station where we started getting accountability. It was the usual post-alarm chaos…people running around trying to figure out who was missing. The only difference today was that everyone genuinely looked concerned. You could feel the tension in the air. The officers and NCO’s were on the radios trying to figure out what just happened. Pieces of information started trickling in. Apparently there had been a large explosion at the Entry Control Point – the front gate. At this point no one was exactly sure of the details. Was this an accident? Was it a helicopter crash? Did a fuel tank explode? A lot of different scenarios ran through my head. Then we started getting some real info. Our base had been attacked by a VBIED: a Vehicle Borne Improvised Explosive Device. Two vehicles loaded with explosives attempted to gain access to the base. The driver of the lead vehicle detonated as he entered the first gate. There were dead and wounded and they were all headed our way. Not ten minutes after waking up and getting to the aid station did the first vehicles started showing up. The surgical team was quickly overwhelmed with patients as were our two physicians, the nurse, and the PA assigned to our battalion. I was asked to go out front and triage any additional wounded. Moments later an Afghan Military Toyota truck pulled up in front of the aid station. There were several men in the back of the truck. Those who could walk on their own stumbled out of the truck and surrounded me. They were pointing and yelling at something lying in the bed of the truck. I looked up and that’s when I saw him. There was an Afghan soldier – a member of the partner unit that helped guard our gate – lying face down on a litter. One of his legs was mangled and mostly amputated. His arms and shirt were up over his head. His leg wound looked like meat from the butcher: pale reddish-gray. I noticed immediately that he was not moving. I quickly jumped up in the bed of the truck to look for a pulse I knew I wouldn’t find. I pulled his hands and shirt down from over his head to gain access to his neck. I still don’t fully understand what I saw. The best way I can describe it was that his head wasnt where it was supposed to be. There was just a flap of skin: neck and hair. What was left of his face was unrecognizable as human. What remained of his scalp was simply matted hair with blood. There was no bleeding. Two of our medics ran up to the truck to help me. “Put him in Expectant…” I yelled, referring to the worst of the four triage categories. I told them to help me carry him to an area we had designated as the collection point for the dead and dying. As we moved the Afghan soldier out of the truck, one of the surgeons came outside and asked where we were taking him. I told the Doc that he was dead. He quickly listened for chest sounds with his stethoscope and then nodded. We carried his body behind a wall so that the others couldn’t see him. I told his comrades that he was dead. There was nothing we could do. I don’t think they spoke much English, but they understood. The medics placed his remains in a human remains pouch (aka a body bag) and I went back inside. The whole aid station was chaos. There were wounded Afghan and US Soldiers in every treatment room and in the hallway. Our PA asked if I could sew up a wound on a man’s face. The blast split open his chin and would require several sutures. After gloving up, I anesthetized the area, irrigated the wound, and placed five or six vicryl sutures. Not the ideal suture material to close a facial wound, but the thread is white which was essential in the situation considering the patient’s thick, dark beard. Later that morning our Company Commander and I drove over to the ECP to survey the damage and check on our soldiers – my dental assistant had been on guard at the gate that morning. We knew very early on that he had not been injured, but we wanted to check on him and see how he was holding up. He had witnessed the entire event. After checking on my assistant– who was shaken up but otherwise okay– we walked down to the site of the explosion. The force of the explosion threw the engine block of the vehicle over fifty feet into a concrete bunker wall. The driver was essential vaporized. Someone later told me they found a part of his spinal column hundreds of feet from the blast. There was burnt, twisted metal everywhere. 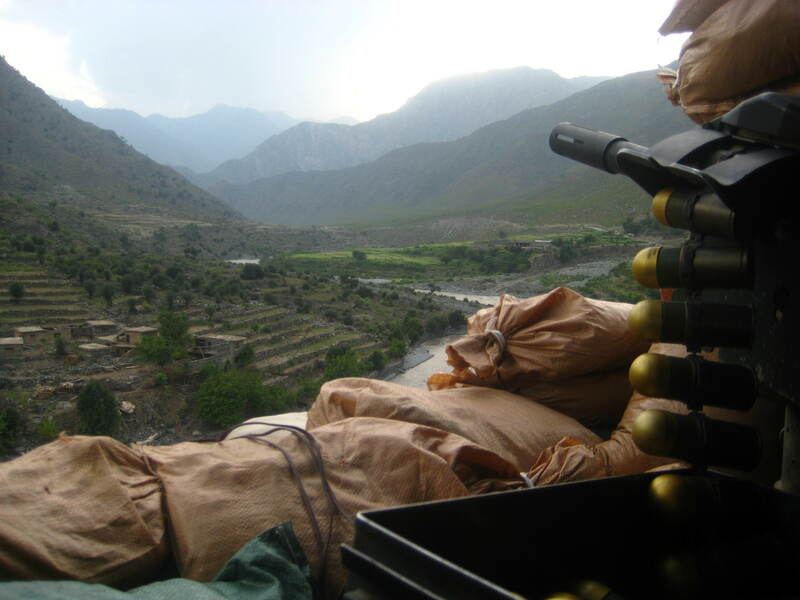 The attack that morning left nine Afghan soldiers dead and about fifteen wounded. Two American soldiers had been wounded, but thankfully none were killed. Had the driver waited a few more moments before detonating his vehicle, many Soldiers –my assistant included– would have been seriously wounded or killed. After the situation stabilized it was back to life as normal. I decided to close the dental clinic for the morning as my uniform was bloodied and dirty and I was a bit upset. I needed a shower and some time to regain my composure. I wasn’t hungry but my head was screaming for a cup of coffee. The events of that morning left me bothered for a couple of days. We were less than a month from the end of our deployment and I mistakenly assumed the worst was over. The attack renewed my sense of fear and left me scared, nervous, and ready more than ever to get home safely. I don’t enjoy having conversations about Afghanistan with people who haven’t been there. It is not that I don’t want to share or help others understand the conflict or my experiences. My issue is that the stories I truly want people to understand are so visceral that words rarely due them justice. Especially when my words fall upon ears that don’t already have some basic connection to this conflict: the ears of someone who has never served in the armed forces, who has no relatives who have been to Afghanistan, who couldn’t find Afghanistan on a map. 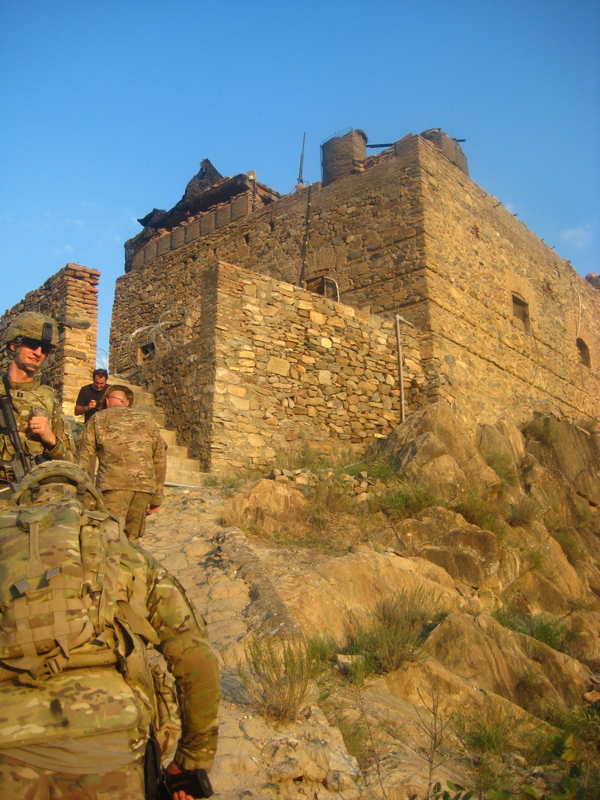 The majority of my time in Afghanistan was divided between working hard and doing absolutely nothing. There would be days at a time where I did not see a single patient. Being frustratingly bored is what I hated the most about my deployment, but being bored is not what has affected me. Being bored is not what inspired me to start sharing my experience on my blog. 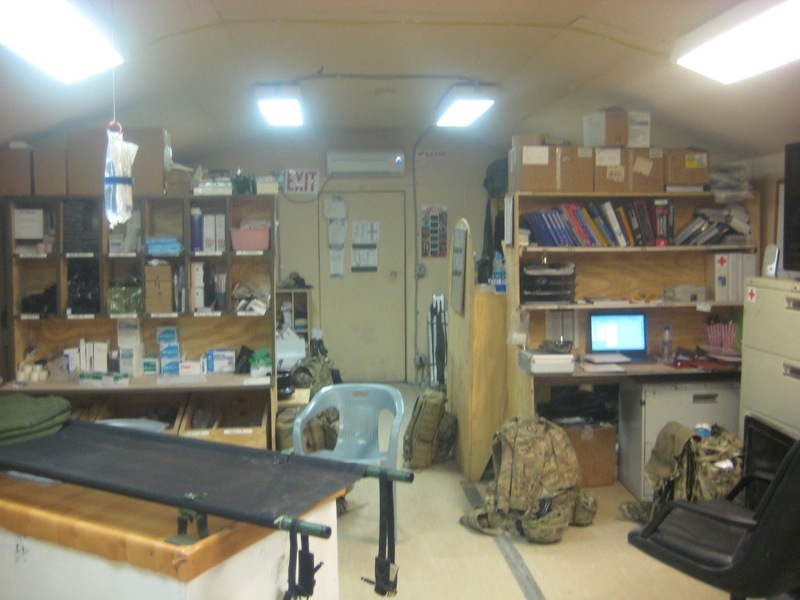 My clinic in Afghanistan was in a small concrete building near the runway on a small base close to the Pakistan border. In this building were other medical assets, to include two operating rooms and a team of surgeons. As such, the majority of seriously wounded Soldiers in our area of operations came to us for surgery. I got quite a bit of experience that year treating maxillofacial battle wounds, but unfortunately along with the split lips, broken teeth, and facial lacerations came the double amputations, exsanguinations, and other variations of modern battle-wounds that the American public has yet to see the long term effects of. As a dentist I see bleeding and pain on a routine basis, but I am not accustomed to the level of violence and trauma that a general surgeon is. To me the images of wounded American Soldiers stand out profoundly, while to a surgeon they are likely routine and unmemorable. I hope to never again see the effects of such violence again in my lifetime, but those wounded and dying men and women that I saw will forever be etched in my memory. It is these memories that I want to share with the American public, and it is these memories that churn my stomach when I recall them. My first exposure to the violence of this war was in the first 24 hours after arriving in Afghanistan. 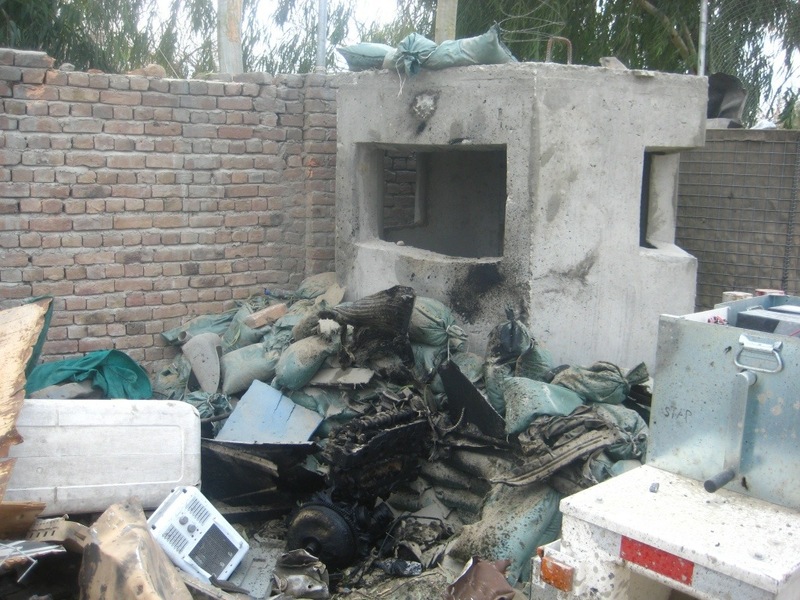 A suicide bomber walked onto a nearby base and the wounded were evacuated to our facility. Still, this trauma was distant, new, confusing, and as such did not yet seem real. Nine days later was when it became real to me. It was a Sunday morning and I had been called in to the clinic to see two emergency dental patients. As I was finishing, we got word that we would be receiving five incoming wounded patients. I remember feeling naively excited as our new battalion surgeon and I propped open the doors to the clinic to prepare to receive the casualties. He wanted me to stick around to triage — to sort the patients based on severity — since that was technically an additional duty of the dentist. I recall it was a very warm April day. The sun was beating down on us while we joked, getting to know each other better. Then the first ambulance rolled up and the medics threw open the back door to get the patients out. The mood quickly changed. I ran up to the vehicle to assess the patients and to begin sorting. Thankfully there were not enough patients to really triage. There was only one that really needed surgery and a few others who were minimally wounded. But at this moment the war became real to me. I looked up and saw a man about my age with red all over his uniform, blood streaming from his face. He was shaking and violently vomiting into a plastic baggie. His left eye was ripped out. As the year progressed and casualties mounted, I developed a bad habit of internet-searching the names of the Soldiers who died. I wanted to learn a little bit about them out of respect; and in the age of social media and online hometown newspapers, it was easy to do. Unfortunately this made the emotional burden somewhat more personal. I could no longer separate them simply as patients. They now had first names and families. Lives they had lived before the military. Wives and kids whose lives would be forever changed by their death. One particular death bothered me more than others, probably because it was my first. He was a young Soldier whom I did not know. To this day I do not know what happened to him, but when I came around the corner of our building I saw the team unloading him from the ambulance. His uniform had been cut off by the flight medics so I could see his pale yellow skin under the hot Afghanistan sun. There was a small amount of blood on his chest but no visible trauma. Our Brigade Nurse was barking orders while doing chest compressions on him. His eyes were open but vacant. Each time she compressed his chest I could see his lips moving, un-naturally expelling air. He was dying right there before our eyes. I knew from the color of his skin that he was already gone. He died that hot summer day in Afghanistan. Something odd happened to me every time I saw a Soldier in the grips of death. Time slowed down and all of my senses heightened. Colors became more vivid, smells and sounds more defined. Details became more pronounced. I will never forget the smell of blood evaporating into the air under the hot sun. It is the smell of life being carried away by the wind. Later that day I searched his name on the internet and quickly found a picture of him and his wife and children. He looked very different in life. I realized that in a few short hours that woman in the photo would get a knock on the door that would change her life forever. Her husband had been Killed In Action. Those children’s father would never kiss them good night again. A knot formed in my stomach. I thought about my own family: my wife and son, my parents. I prayed they would never get that knock. I couldn’t get the images of his death out of my mind for days. I had a hard time sleeping at night. Every time I closed my eyes I could see his face. I can still remember his face but it doesn’t bother me as much anymore. I’m not sure if that is good or bad. I like to think that for me it is a good thing. But for history’s sake, forgetting his face is wrong. 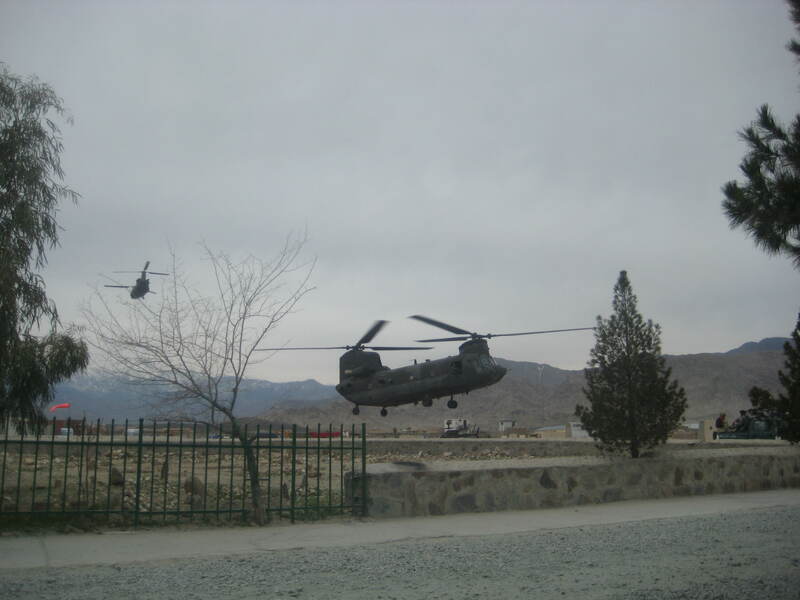 Now that I have been home seven months, I find my mind wandering back to Afghanistan less and less often. 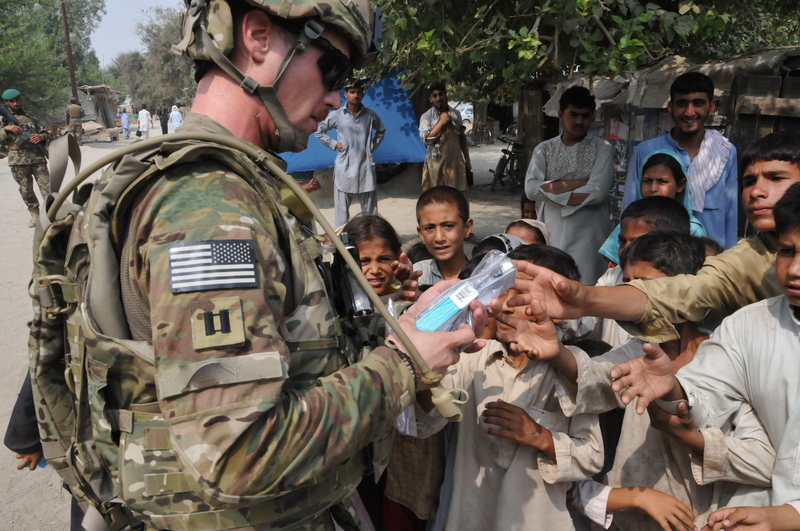 In the fast-paced, cushioned lifestyle we enjoy in our country it is easy to forget how many are still serving in Operation Enduring Freedom. As Thanksgiving approaches this week I will take a few extra moments to thank God for bringing me home safely and pray for those who are still downrange. And I will remember to ask God to bless the families of the fallen who celebrate the holidays this year for the first time without their loved one. The other night at 0130 I was awakened to the loudspeaker announcement “ATTENTION ON THE FOB: ALL B POSITIVE BLOOD DONORS REPORT TO THE AID STATION IMMEDIATELY.” Disoriented, I sat up and waited to hear it again, as I couldn’t quite make out what the voice said. Sure enough, they wanted all B + personnel down there ASAP. I jumped out of bed, grabbed my weapon, and beat feet the 100 meters or so to the aid station not knowing what I was going to walk into. There was already a handful of half-dressed, sleepy-eyed soldiers and contractors waiting. People were running around, clearing chairs, scurrying about. I asked someone what was going on: “IED, sir. 5 casualties. Three are heading to the OR right now.” They needed five units of B positive apparently. Within five minutes I was laying on a table with a garden hose in my arm draining me of my precious B+. I hoped that my blood would somehow work miracles on whoever it was that was so in desperate need of it not 20 feet away. A few minutes later we were done, a lab tech came and grabbed the bag and ran a couple of quick tests and took that tomato colored juice bag of blood next door to the operating room. I didn’t know whether my blood made it into the first or the second guy, but I like to think my hemoglobin carried some oxygen to another man’s tissues. I hoped my blood gave at least one of them a fighting chance. For those who don’t know me, I don’t usually give blood. I am not opposed, I just don’t tolerate it well. Every time I donate blood I experience orthostatic hypotension when I stand up and if no one is around, I hit the floor. Hard. I guess that is something you don’t grow out of. As expected, I got very pale apparently. Someone got me a chair and some water. I downed the water and grabbed some Ho-ho’s I had stashed in the fridge. I sat in the hall for a good five to ten minutes waiting to absorb some of the fluid I just drank. I watched as they wheeled the second guy into the OR. In my head I wished them the best. I wanted to stand up and help, but I knew I would pass out if I did. 0630 came a lot faster than I had hoped. I was exhausted. I had not gotten back to bed until after 0230. I made it to the clinic around 0750 and inquired about the patients from last night. Two out of three didn’t make it through surgery. The third survived and was in our ICU recovering. This is the third or fourth time this has happened since I have been here. I was honored to be able to help by giving blood that went straight into the operating room but I wish there was no need for the blood. Sadly though, this is becoming my world. This is where I live. This is the crap that goes down in my neighborhood. I spent three hours that night in the operating room assisting a neck dissection on a young man who took several rounds to the head and neck region. One of these bullets went in through his left parotid gland and came out on his neck about three inches below his left ear. Another bullet appeared to enter just anterior to the sternocleidomastoid and exited the back of his neck. This is the luckiest man in the world as not one of those bullets hit an artery, nerve, or vein. Just muscle. We dissected all the way down past the carotid to the esophagus and trachea. Everything was intact. I wasn’t used to standing for so long. I hadn’t eaten much that day and at one point the pulsing carotid became too much for me. Beads of sweat starting forming on my forehead and I felt my face tingling. I knew I was about to pass out or vomit or both. So instead of hitting the floor in the OR I excused myself. One of the nurses gave me a soda and let me relax for a few minutes before scrubbing back in. I helped close up his neck and I closed up his facial wound myself. He is going to need some grafting to replace this half-dollar size chunk of face that was gone, but other than that he will probably be fine. I never thought my life as a general dentist would take me into the operating room to help handle gunshot wounds. I guess I was wrong. Part III: How much trauma is going to happen while I’m writing this post? It was 2400 last night. Almost exactly midnight by my watch. I heard the door to my hut fly open and our brigade nurse speaking firmly, yet seeming to try and be quiet at the same time. I couldn’t make out what she was saying. “Whats going on?” I asked, disoriented. “Are you f*cking kidding me?” I replied. I hoped this was another MASCAL drill. My heart just dropped. I felt sick to my stomach. I could not even imagine what this could mean. I was still waking up and getting oriented as I ran down to the aid station. People were running around all over the place. The Forward Surgical Team was up and their doors were propped open so I knew this was no drill (as they don’t usually participate in our midnight training exercises). I tried to get some info from our platoon sergeant. All I was able to determine was that a CH-47 Chinook helicopter had gone down with 24 soldiers on board. No status as to any survivors, but we were preparing to receive 24 casualties. In the middle of the night we executed our plan for a Mass-Casualty Event (MASCAL) flawlessly. I was really impressed at how everyone came together. We had over 30 litter-bearers show up just to help carry people. During a MASCAL my job is to triage the patients as they bring them to us. For an hour I waited out front trying not to vomit thinking about the horror that could be dropped at my feet any moment. Thankfully at 0100 we sent everyone packing. The had taken the critically wounded to a closer surgical team and we would not be receiving any of the urgent or surgical patients. We received several of the crash victims throughout the night, but they were stabilized and not surgical patients. Thankfully, not a single person was killed in the crash, though there were some very serious injuries. That all happened in the last 72 hours. I spent most of Sunday sleeping. I was just physically exhausted.